The Clemson Tigers Riddell Speed Mini Helmet comes in team official colors and decals. The Riddell mini helmet is the most popular collectible in history is now available in the Speed Helmet design. 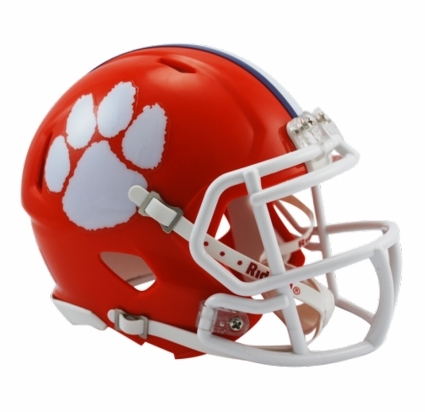 These Speed Minis are a MUST have - order your Clemson Tigers Riddell Speed Mini Helmet today!